Are you gearing up for a long distance relocation? Do you feel overwhelmed deciding where to even begin with the planning process? Metropolitan Van is here to help! At Metro Van, we know that any size relocation is a big undertaking, and that’s even truer when you are moving a long distance. Whether you are typically a “list maker” or not, having a checklist for everything you need to accomplish during the moving process is a necessity. As soon as you know that you’ll be making a move, start writing down a master list of everything that needs to be accomplished and check it off as you go along! While saving costs by planning a DIY move can sound appealing, it inevitably leads to a lot of avoidable stress and frustration. Instead of taking on the project yourself, choose a professional team of San Francisco Bay movers to handle the in-depth coordination (and even packing!) for your upcoming relocation. What you pack your belongings in makes a big difference—especially when they are being transported a long distance. Don’t skimp on quality moving materials! Choose sturdy, stackable boxes, plastic totes, and bubble wrap to ensure that your items arrive safely at your home in one piece. The logistics of planning a household move go beyond just packing and loading a moving van. You also need to handle setting up schools, doctors, insurance, and utilities at your new location. Use your moving checklist to keep track of who you need to call, and get an early start to cut down on the risk of a last-minute scramble. Get Your Family and Friends Involved in Your Move! There’s no doubt about it—everything is easier with some extra hands on board! 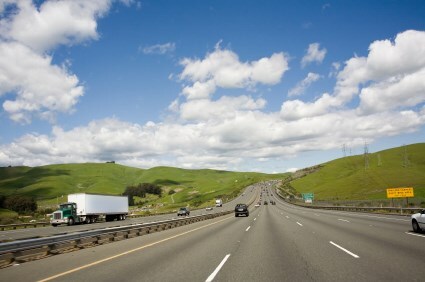 In addition to your hired Bay Area movers, enlist your loved ones to give you a hand with the tough job of moving. From packing and cleaning to watching the kids on moving day, there are countless tasks that your friends and family can help with to ease the process. When it comes to long distance movers, Bay Area residents know that they can count on the professionals at Metropolitan Van to deliver the highest-quality service in the region. If you’d like to learn more about how we can help you with your long distance relocation, just give us a call today. You can also fill out our online form, and one of our San Francisco Bay movers will be in touch to get you set up with a free moving estimate.